Apart from pure refreshing water, tea is the most consumed beverage all over the world even bigger than coffee. While the current rage is about the benefits derived from drinking green tea, black tea has its own die-hard fans, and for good reasons. You should know that green tea and black tea are derived from the same tea leaves, and it is during the processing that the separation in color occurs. Both are sourced from the Camellia Sinensis plant. In this article, I will explore what are black teas good for? You’ll also learn about black tea types, known health benefits and possible side effects if you consume too much during the day. Towards the end of the post, I will review some of the best black tea brands and sources where you can buy one for less. Best black teas can be consumed as a cold or hot beverage. It contains ingredients for improving learning, mental alertness, and memory processing skills. Some of the black tea health benefits include prevention of heart attacks, curtailing headaches and lowering blood pressure. The relation between black tea and weight loss will be explored further within the black tea review article. Black Tea is growing in popularity in the west, but the major consuming countries are India, China, Britain, Sri Lanka and now the United States of America. The plant Camellia Sinensis is the source of most of the herbal teas, including black tea. The processing method is what makes white, oolong, green or black tea. The normal processing method involves the tea leaves being rolled, withered and heated. To make best black tea, the leaves are also fermented right before the final heating process. Unlike the other herbal tea types, black tea comes with a high rate of oxidization. The oxidization of black tea is the longest in the industry, which involves the interaction of oxygen with the leaves to induce the production of the most active necessary ingredients. Not only do black tea brands have beneficial antioxidants like Thearubigins and Theaflavins, you can also get the highest amount of caffeine by drinking it. Just like any popular product, the origin of black tea can be sourced from many countries. Some of your high-quality brands of black tea are made in India, China, Nepal, and Sri Lanka. Since commercial grade teas are sold in vast auction houses all around the world, the source of the black tea leaves in any brand cannot be definitely determined, despite the sales brochures from the manufacturers. Other countries like Britain and Japan are now starting to grow and produce significant amounts of black teas. Countries like Brazil, Indonesia, Argentina, Rwanda, Vietnam, Kenya, Malawi, Zimbabwe, and Thailand are known to make limited quantities of the product. So to be honest with you, the best black tea brand that you decide to buy might have leaves sourced from several countries. Let taste be your guide, as to what constitutes the best brand of black tea. Trying to list all the local types of black teas would take all day, so it is better and more appropriate to examine the black tea blends that are commercially marketed and sold. The most popular black tea blends are English breakfast, Afternoon Tea, and Irish Breakfast. As you search for the strongest black tea you’ll find that most have been flavored with edible flowers, spices, or fruits. To meet the demands of the growing tea drinking populace, tea manufacturers are now starting to create black tea blends with chocolate or vanilla. Despite all that, some black tea brands have stayed true to their origin and are marketed as such. Darjeeling black tea is a brand that comes to mind, and they’ve gone to extreme lengths to keep the tea leaves used from the same region of India. Other brands that have stayed true to their local routes in sourcing the tea leaves used are: Lichee Black Tea and Rose Black Tea both are made in China. From my research, many brands of black tea play a “game of catch me if you can” with the labels on the product. Most countries have poor labeling laws including America, and the makers of some of your black tea brands blend several black tea leaves to create a winning product. So to find one with a winning taste, pay attention to other performance metrics instead of the country of origin. Feedbacks from existing users of the product should give you a better idea if the black tea brand is worth buying. Harvesting is usually done by hand or machines, depending on how large the farm is. In low wage countries, farmers still realize it is far cheaper to employ thousands of seasonal human harvesters than invest in costly tractors or mechanized harvesters. Withering of the leaves is a process of trying to reduce the moisture content. Large troughs with huge fans are usually the preferred method to circulate air, which aids in moisture evaporation. Teal Leaves Rolling is needed to break the cell walls of the ingredient and release essential oils present. Next is Oxidation, which is sometimes called fermentation by tea makers. The exposed leaves are introduced to more oxygen to help alter and change the aroma, flavor, and color. This is the step that helps to determine what type of tea is created, black, green, and white or oolong. Baking is introduced to halt the oxidization process, and it used to dry the tea leaves before storage. Sorting occurs as part of the final steps whereby unwanted waste materials are discarded. This is when poor tea leaves and large stems are removed before the tea leaves are sorted into different grades and sizes. For highly mechanized tea farms, this process is done using specially created machines. If no blending is required, the tea leaves are then packed in unique ways to differentiate the brand from other top rated black tea producers. What about the Caffeine in Black Tea? Just like any tea product, the caffeine content in any black tea will depend on several factors. Normally with best black tea brands, you’ll get more caffeine the longer you leave the tea bag in hot or cold water. Blame our poor labeling laws for the lack of forthright information about true caffeine content in each brewed cup of black tea. The existing weak law does not require they list the caffeine amounts, and most manufacturers are just as happy to oblige. Using guess-estimate and other online reliable sources, your average cup of black tea will contain about 50 to 90 mg of caffeine per cup. Do keep in mind that most black tea brands will contain at least 2% to 4% of caffeine in each batch. How easy is it to Make Black Tea? To be honest with you, it is quite easy regardless of your mental acumen. I mean, you have to have functioning hands and be able to boil water. If you have black tea leave bags simply out one in 6 to 8 ounces of boiled water. If you’re doing the measuring yourself, 1 to 2 teaspoons of the dried black tea leaves should suffice. To negate the occurrence of bitter taste, be sure not to over-steep your black tea. Steeping time will depend on your preference, but 3 to 4 minutes sounds about right for the best cup of black tea with great taste. Some like to add sugar or honey to help with taste. Personally I like to add honey to mine, for best tasting cup of black tea. If you like to add milk go ahead and do so, but be warned it might affect the taste slightly. Some have insinuated that adding milk to a cup of black tea will dilute the health benefits, but that claim is dubious at best. Beware that some brand do recommend what can be added to the black tea cup to get the most delicious taste. I would recommend you follow the manufacturer’s recommendation for awesome results. Is Iced Black Tea Just as Good? In America, the largest amount of black tea is consumed as an iced tea. You can find them in bottles or cans at your local supermarkets or grocery stores. Unless you’re making your own iced black tea at home, the store bought brands will have other ingredients added to them. If you like sugar or sweeteners in your diet, go ahead and buy a bottle or two of the bottled black tea you find at the stores near you. Best to make your own iced black tea at home with honey, lemon or fresh mint leaves. Doing so will preserve all the health benefit from the original black tea leaves. Bottled drinks go through processing, and it does impact negatively the original ingredients in the black tea leaves. Any Linkage between Black Tea and Weight Loss? The effect of black tea on weight loss is debatable and dubious at best, unless you include a good weight loss meal plan with lots of exercises. While it is an established fact, the drinking of black tea will help you burn calories, I just don’t buy into the assumption that will result in weight loss. Black tea does have fewer calories than other beverages, but having less calories does not equal weight loss. A perfect analogy would be when your local supermarket proclaims you just saved some money after spending your money. How can you save money when you just gave them part of your earnings? It is a words game! It is true, most black tea brands have fewer calories, but that does not equate to being able to lose weight by drinking a cup. You should drink a cup of black tea because you like it, not for the false claim of weight loss pushed by interested parties. That is the honest truth; now let’s examine some of the real health benefits one can get from regular drinking of black tea. The many black tea benefits are still been cataloged. Not only is it widely recognized as a mental stimulant, there are many established health benefits one can get from moderate daily drinking of black tea. Your average cup of black tea contains caffeine and antioxidants that can do your body good. Researchers have found that regular drinking of black tea can help promote better heart health. You get enhanced benefits if you engage in a healthy lifestyle. It contains antioxidants called Polyphenols, which are able to prevent DNA damage as a result of smoking or other toxic chemicals. These antioxidants are not the same ones found in fruits and vegetables. The being said, do not for one minute think black tea will help eliminate the risk you face from smoking on a regular basis. Scientist has found some link between the power of the antioxidants found in black tea to help block and prevent some types of cancer. It was also discovered that women that drink black tea on a regular basis have a lower chance of developing ovarian cancer, as compared to those that did not. The Phytochemicals found in the tea can help one develop stronger bones, thus lowering the probability of developing arthritis. When used in moderate daily dosages, black tea can help improve your alertness without all those crash symptoms associated with drinking energy drinks. While drinking black tea is safe for most people, pregnant women or those breastfeeding are urged to seek the advice of qualified medical practitioner before drinking it. If you have an allergic reaction to caffeine, you should stay away from drinking black tea, even thou it contains less caffeine content in each cup. If you consume more cups than normal on a daily basis, you might experience diarrhea symptoms. If you have an overactive bladder, black tea might adversely increase your symptoms, so use with caution. If you have any adverse reaction to caffeine, then this product might not be suitable for you. In this best black tea reviews, we examine some of the performance metrics of the top rated black tea products. One of the outfits with a solid reputation for making high-quality products is stash Tea Company. 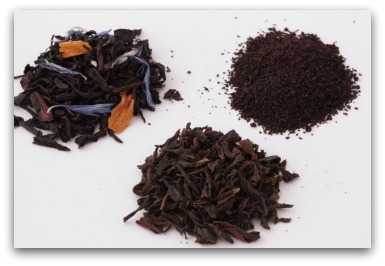 Stash tea flavors can be found in many blends including black and green tea. Before we answer if this is the best English breakfast tea, let’s look at the pros and cons. Stash English black tea can be bought in 100 tea bags, which makes it perfect for restaurants and food service companies. This is an old time black tea formula that can stimulate and invigorate you. 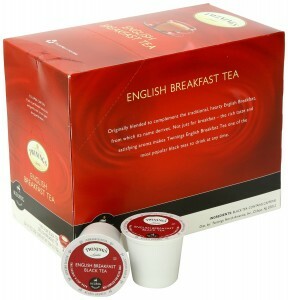 Stash English breakfast tea is full-bodied and can be enjoyed with sugar, honey and milk. 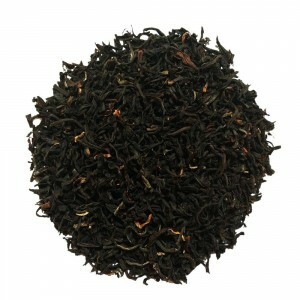 This black tea can be bought in several classic blends like, Nilgiri, Assam, Keemun and Ceylon. While it contains caffeine the product has been Kosher certified. This best high quality black tea does not contain any alcohol, and come to you in frustration free packaging. You can enjoy Stash black tea both mornings and evenings. Not only is the product sourced from natural ingredients from around the world, it also made in the U.S.A. Despite having over 97% approval rating, some customers had some negative stuff to say about the product. A pregnant user complained about the scent. Another said it tasted terrible, while one person liked the black tea but hated the packaging. 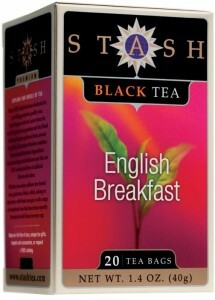 This best black tea brand from Stash is as strong as it can get. The tea leaves used are sourced from premier tea gardens in Sri Lanka, China, and India. Most of the users called it a distinctive, rich and tasty black tea. You’ll not ruin the taste by adding milk and sugar. This is the ideal stimulating tea that can be used as the perfect morning wake-up drink. This brand is made by Newman’s Own and comes in 100 bags packaging for more savings. Paul Newman was a great industrialist and his many products are beloved by millions of consumers all over the world. This best black tea is made by a company with an excellent reputation for putting quality ahead of profits. The 100 bags packaging makes it a good buy for food service companies and restaurants everywhere. It’s gluten and diary free, while been Kosher certified. Not only does it have a full flavor, you can drink it hot or iced cold. Even thou it contains caffeine; this is a true organic black tea brand. 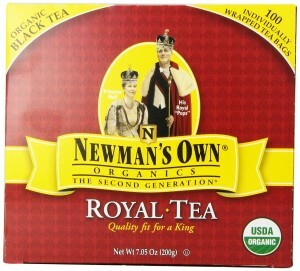 Even with an astounding 96% approval rating, some of the existing users had some gripes about the black tea from Newman’s Own. Some did not like the taste, while others complained it lacked the expected taste. Some offered buyers the suggestion of not steeping the tea bag too long to negate any bad taste. 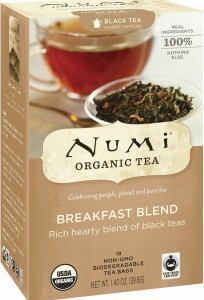 This is a true organic black tea with caffeine from a beloved and always to be remembered philanthropist. The ingredients are sourced from high-quality sources and made by a company known for putting the needs of consumers ahead of profits. One of the first things you notice about this black tea brand is the unique packaging. Twinings black tea is made from ingredients sourced from trusted growers around the world. The manufacturer belongs to Ethical Tea Partnership, which is an organization dedicated to fair living and working conditions for workers on tea estate farms of members. If you own any model of Keurig brewing systems, this packaging will fit right into the machines. Based on thousands of reviews, one can conclude this is a tasteful and robust tea that can be enjoyed with sugar and milk. The blending is accomplished by using Assam and Kenyan black tea leaves. You’ll be delighted with the flavor and aroma. It is a soothing black tea that can be used to get your mornings off to a good start. With thousands of positive reviews, some customers found issues with the product. One complained it was not suitable to be used in making a traditional chai latte. Others wanted a stronger version of the black tea. Some complained it irritated their stomach while others wish it had a lower pricing point so they could buy more. Twinings Black Teas is a winning product with massive 98% approval rating from existing users. The full-bodied taste is distinctive and filled with inviting aromas. This is a good black tea from a great reliable company, and you can see why most users will recommend it to friends, relatives and coworkers. Bigelow is another good reputable company with good health and food related products like this black tea. Some might call Darjeeling the king of all black teas because it has a verified origin source with rich and fragrant taste. I like the fact that it is packed twenty to a sealed small box, and you get six of those small boxes with your purchase. 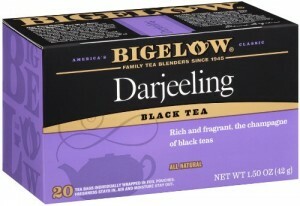 Bigelow Darjeeling black tea is gluten free and comes with no calories. It also has no carbohydrates and comes fully Kosher Parve certified. This premium black tea brand is a trusted source of healthy antioxidants. Even with thousands of reviews from existing customers and over 97% approval rating record, few consumers voiced concerns about the black tea Darjeeling from Bigelow. Some found the taste uninteresting, and bland. Another liked the good price but said it lacked freshness and flavor. 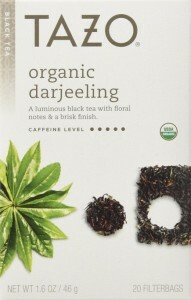 One user suggested you use only honey to get the best from the Bigelow Darjeeling black tea. I like the individual small packaging within the bulk package. Each tea bag has flavor-protecting envelopes to help preserve taste and freshness. Apart from having a wonderful aroma, every cup of this black tea will deliver healthy antioxidants that would do your body good. Bigelow black tea is a good brand with surprising affordable pricing. Next post: What is the Best Diaper Rash Cream?